If there is one thing that every man should own and always have at his side, it’s a knife. But we don’t mean a flimsy little thing, but a rugged cold steel military-grade knife that will always keep its edge and is ready to take any abuse that you can throw at it. 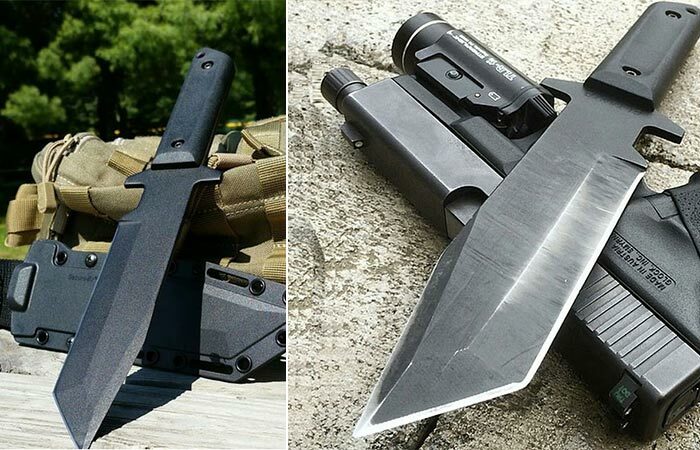 A knife like that isn’t something that you find very often but we have found one and it’s called the Cold Steel GI Tanto. 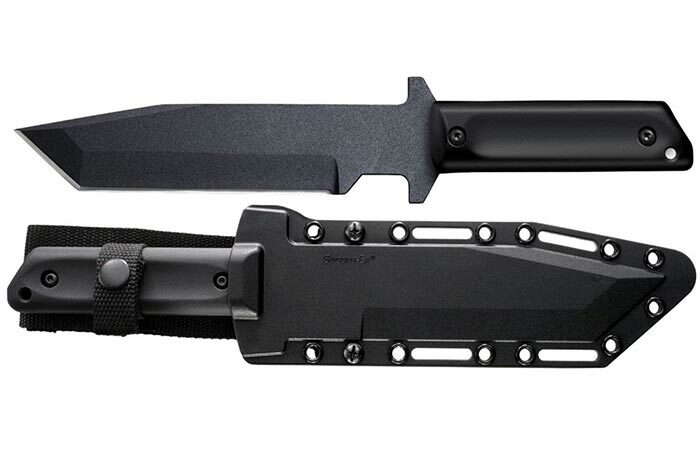 At first glance, the GI Tanto, is essentially a top grade tactical knife that has been stripped down to its bare essentials for an extremely reasonable price. A tough, military-grade knife that can handle anything from chopping wood or cutting meat to hand-to-hand combat. The GI Tanto is something that you want with you at all times. The knife features a plain blade design that only adds to its overall look, however, that being said, we have to note that its broad Tanto point blade is exquisite and was designed to penetrate armor. The blade itself is 7-inches in length and is constructed out of 1055 carbon steel that has been ground to a razor sharp edge and features a hard spring temper. The blade measures 12-inches in overall length and even comes with a Cordura Nylon carrying system. To protect your hand while cutting or if you find yourself in a hand-to-hand combat situation, the GI Tanto features a specially designed quillion guard. This knife has been weighted to near perfection and the handle is constructed out of polycarbonate scales that are durable and adds to the overall feel of the knife. With the handle included, the GI Tanto measures 12 inches in overall length and even comes with a carry system that has been constructed out of Cordura Nylon. To top this all off, the entire blade has been coated in a black rust-resistant finish so that it can handle any punishment.